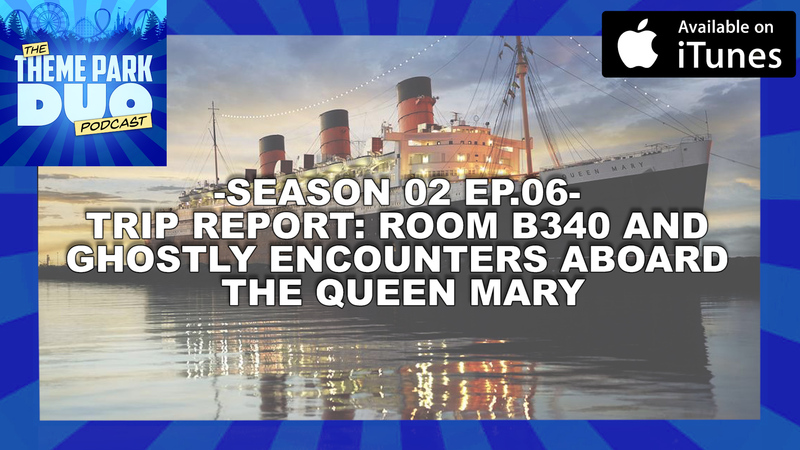 On this Episode of the Theme Park Duo Podcast, The Duo chat about Gabe’s ghostly encounters aboard The Queen Mary in Long Beach California! Did Gabe see a ghost? Did he hear disembodied voices? Tune in to find out! On top of that, we have a Universal Studios centric Theme Park Bulletin and Haunting Headlines. Just recently at Universal Studios Florida, Fast and Furious Supercharged Soft Opened. Hear what people have been saying about the “NEW” attraction! Hoping over to the west coast to Universal Studios Hollywood, the opening date of Dreamwork Theater featuring Kung Fu Panda: The Emperor’s Quest. Find out a bit more on the details of this new attractions coming soon! Then for Haunted Headlines we discuss the just announced (at Monsterpalooza) scare zone for Halloween Horror Nights in Hollywood! It’s a spooky episode this week filled with creaking floor boards, squeaky doors and amazing theme park fun! STAY TUNED!